On December 23, 2016, the United States opted to abstain from a UN Security Council resolution that allowed the body to condemn all Israeli “settlements” living east of the 1949 Armistice Lines/ the Green Line as illegal. Samantha Power, the US Ambassador to the United Nations addressed the council after the vote to explain her reasons. Ms. Power began her speech by underscoring “the United States’ deep and long-standing commitment to achieving a comprehensive and lasting peace between the Israelis and Palestinians.” But her rationale really took aim with the goal of two states, not a comprehensive peace. Each point is deeply flawed. Israel is the tiniest and most isolated country in the Middle East and much of the world. 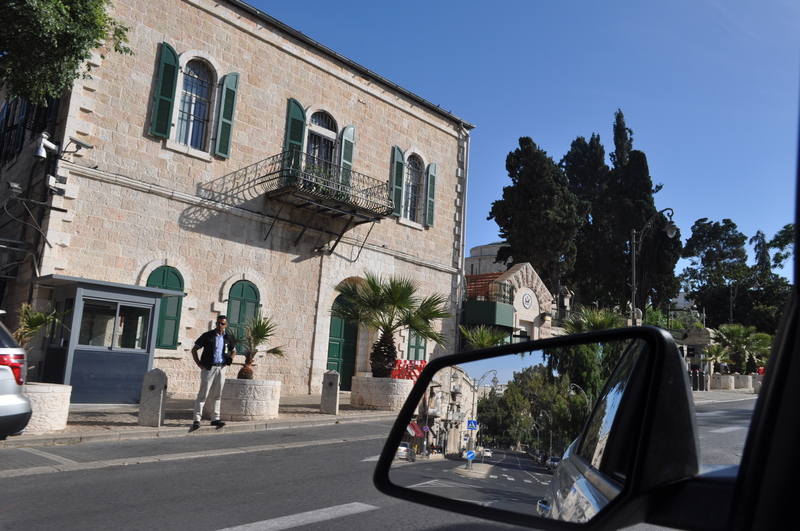 It is only 15km across (without the West Bank) around its most densely populated areas. The capital sits on the border of the West Bank, a situation that is impossible from a security perspective, especially considering the country has been in a state of war with its neighbors for virtually the entirety of its existence. To state that enlarging its narrow borders undermines its security is obviously false. The second comment that the settlements harm the viability of a Palestinian State is ridiculous. 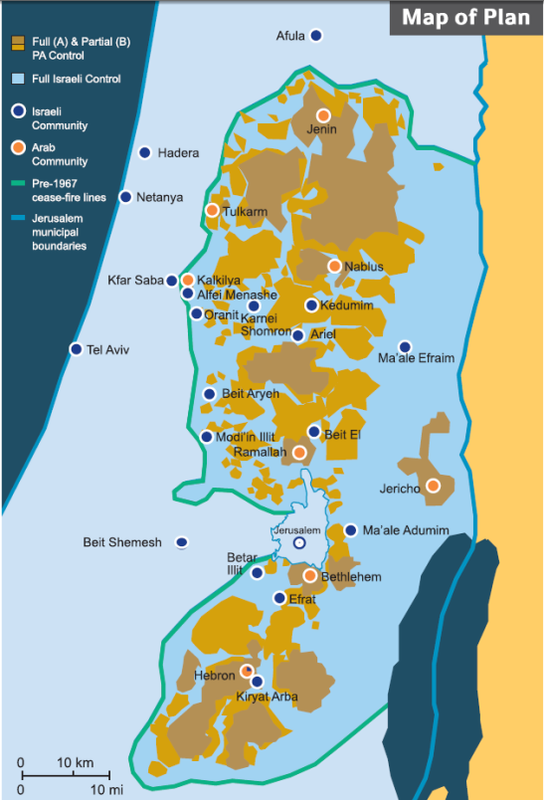 Annexing portions of Area C of the West Bank such as E1 and Maale Adumim would make a Palestinian State in the West Bank 15km across at a single narrow place- not for many kilometers as is the case for Israel. The argument that a Palestinian state cannot be viable if it is 15km narrow at a single point underscores that Israel should annex the entire middle of the land. Ms. Power reserved her comment about peace – theoretically what most concerned her – for the very end. Because the connection to settlements it is nonsensical. How can Jews in a new Palestinian State undermine peace? Doesn’t peace mean getting along? Not for the Obama administration. If that is indeed the US position that peace can only be achieved by completely separating the parties, ensuring that no Jews be allowed to live east of the Green Line, then it would stand to reason that the US must be promoting the notion that all Arabs be expelled from Israel. How can Israel incorporate over 1 million Arabs if separation is the key to peace? The essence of Power’s comments is that Israel thinks about peace the wrong way. It isn’t about coexistence, trade and commerce. It’s about distinct existences. Israel is looking for normalization while the Arabs are in divorce proceedings. The comment that violent extremism and the murder of innocents “erodes the prospects for peace,” is not stating the obvious; it NEGATES the obvious by destroying its very definition. Killing someone doesn’t undermine the prospects for living, it ENDS living. When acting-President of the Palestinian Authority names schools, squares and soccer tournaments after terrorists who killed civilians, it CONTRADICTS peace. When Abbas takes to the loudspeakers asking for martyrs to converge on Jerusalem, he NEGATES peace. When Palestinian Arabs vote the terrorist group Hamas – which has the most anti-Semitic charter in the world which calls for the complete destruction of Israel and murder of Jews – to a whopping 58% of the parliament, they DESTROY peace. When 93% of Palestinian Arabs are anti-Semites, they NULLIFY peace. When the UN Secretary General says that he supports the integration of Hamas into a Palestinian unity government, the global body UNDERMINES peace. Power conflated the “prospects for peace” and a new Palestinian state. She essentially argued that Palestinian Arabs are only killing now to get a new state, and will stop when they get independence. Such approach willfully ignored the inconvenient fact that Hamas launched three wars from Gaza since Israel withdrew from the region. While Power argued that the United States would supply enough military equipment to ensure a viable and secure Israel, even in narrow borders, she stated the armament was intended to combat “a new terrorist haven.” She seemed to have missed the point that the terrorists are not new. They are part of the established elected Palestinian government itself, and supported by the world body that just condemned Israel. When Power opened her remarks at the UNSC discussing a “comprehensive and lasting peace,” she was only addressing the Israelis. Only the Israelis are seeking peace; the Palestinian Arabs are seeking a state. The notion that Palestinian Arab violence undermines the “prospects for peace” is wishful thinking that the violence will stop once a Palestinian State is created. 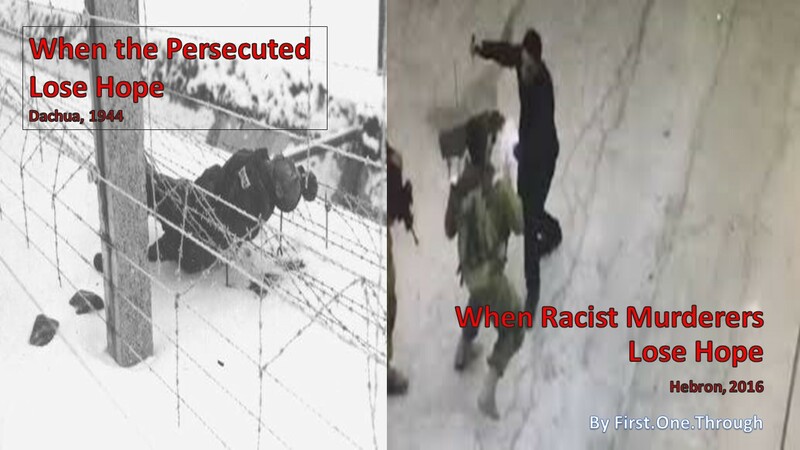 The violence that is incited and celebrated by Palestinian leadership is pure evil, and undermines the rationale of allowing such a state to come into being at all. While all people deserve freedom and self-determination, should the United Nations actively endorse the creation of a violent and anti-Semitic regime as a pathway towards peace and stability? President-elect Donald Trump made statements after his election victory, that he planned on moving the US embassy in Israel from Tel Aviv to Jerusalem, which Israel has long designated as its capital. Today, it is not nearly as controversial as it once was. The initial controversy of recognizing Jerusalem as Israel’s capital stemmed from the 1947 UN Partition Plan which allocated Greater Jerusalem and Greater Bethlehem into a “corpus separatum,” an international zone called the “Holy Basin.” While the Jews accepted the proposal, the Arabs rejected it and launched a war to eliminate the Jewish State. At war’s end, Israel controlled the western part of Jerusalem, while the Arabs took all of Greater Bethlehem and the eastern part of Jerusalem. Jordan expelled all of the Jews from the region, granted citizenship to all of the Arabs (specifically excluding Jews) and annexed the region, in a move never recognized by any country in the world. 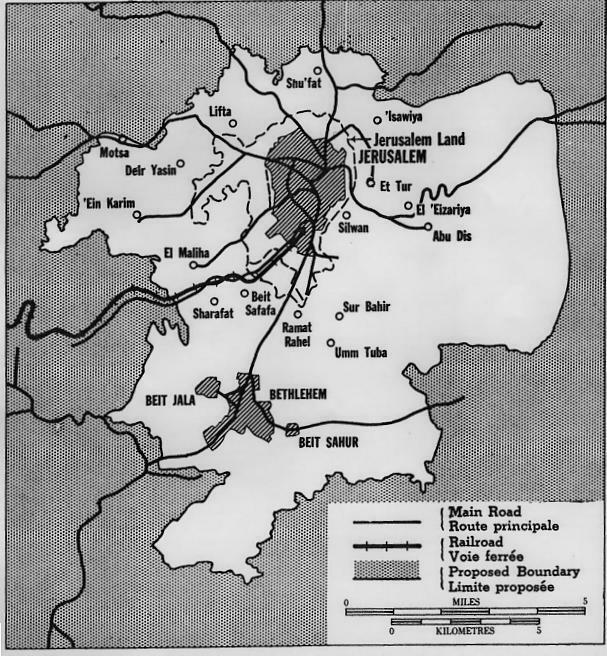 While the western half of Jerusalem has been always been inside of the 1949 Armistice Lines / the Green Line, many countries still did not want to move their embassies to Jerusalem in the expectation that some solution would evolve to create a two state solution, which would also settle the question of Jerusalem and Bethlehem. After Jordan attacked Israel in 1967 and lost all of the land east of the Green Line (EGL) including Bethlehem and the eastern part of Jerusalem, a solution appeared even more distant. In 1988, Jordan gave up all claims to the EGL lands, and in 1994, it signed a peace agreement with Israel. The peace agreement acknowledged Jordan’s special role on the Jewish Temple Mount, but did not give Jordan any sovereignty in Jerusalem whatsoever. 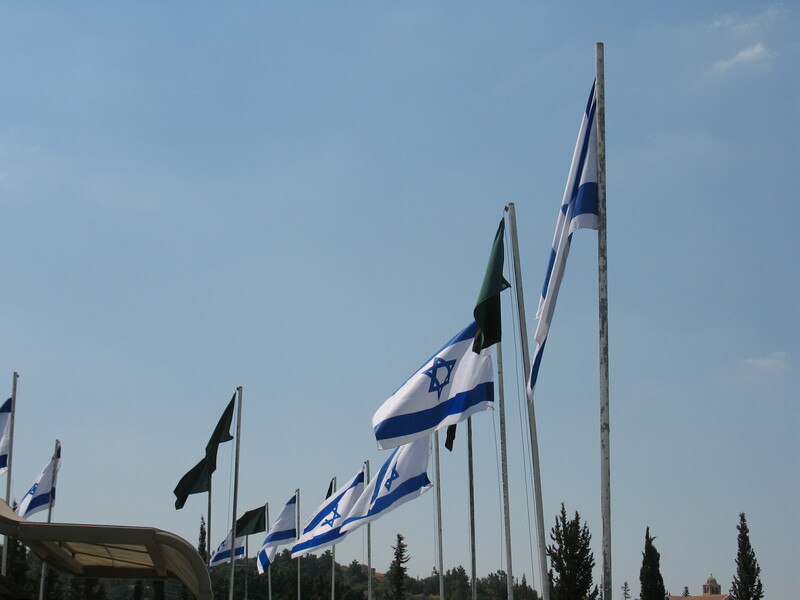 In 1993 and then in 1995, the Israelis and Palestinian Arabs signed the Oslo I and Oslo II Accords, respectively. As part of those agreements, the Palestinian Authority (PA) effectively agreed that Israel has sovereignty over the western part of Jerusalem. And as part of that agreement, Israel handed control to the PA of half of the Holy Basin, the city of Bethlehem. 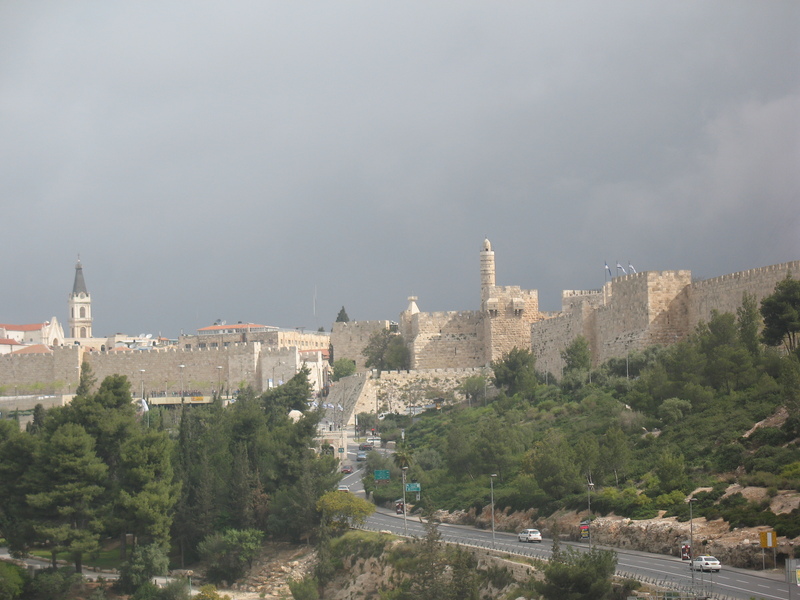 Today, the only part of the Holy Basin that remains disputed is the eastern half of Jerusalem. (Granted there are terrorist groups like Hamas that refuse to acknowledge Israel’s rights over the western part of the Jerusalem, but for that matter, Hamas refuses to recognize Israel’s right to exist at all.) As of today, the only countries that do not recognize that the western part of Jerusalem is part of Israel are the same countries that do not believe in Israel’s right to exist. As such, moving the US embassy to Jerusalem is no longer controversial, any more than recognizing the Jewish State. Congress voted to approve moving the embassy in October 1995, at the time of Oslo II. However, US presidents have withheld executing the move as the broader Israeli-Arab peace has still not been realized. Moving the US embassy to Jerusalem does nothing to alter the negotiations between the Israelis and Palestinian Arabs that want to make peace. Withholding the move simply rewards entities like Hamas that are at war with Israel. After Jews reunified the city of Jerusalem in the 1967 Six Day War, they moved back into the eastern half of their holiest city. 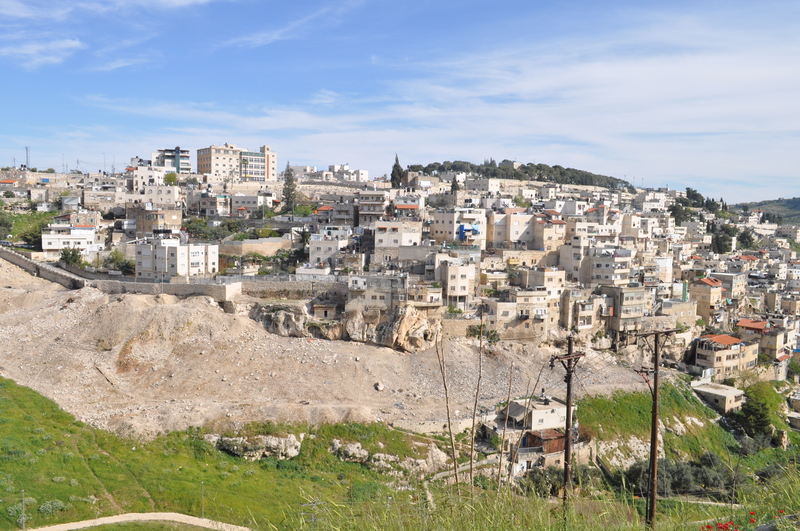 Not only did they return to the Jewish Quarter of the Old City, but to other sections outside of the Old City walls, like Silwan, which was founded in the second half of the 19th century by Yemenite Jews. Jews returning to the area was viewed as controversial by Arabs, who had banned Jews from the region while they controlled the area from 1949 to 1967. However, international law clearly stated that “No person shall be excluded from Palestine on the sole ground of his religious belief.” (Mandate of Palestine, Article 15). The scenario was hard to fathom. The first black president in US history condemned people for moving into a neighborhood because such action was viewed with hostility by the current residents. Would Obama have sided with white racists in the 1950s in Selma, GA that were against blacks moving into the neighborhood? 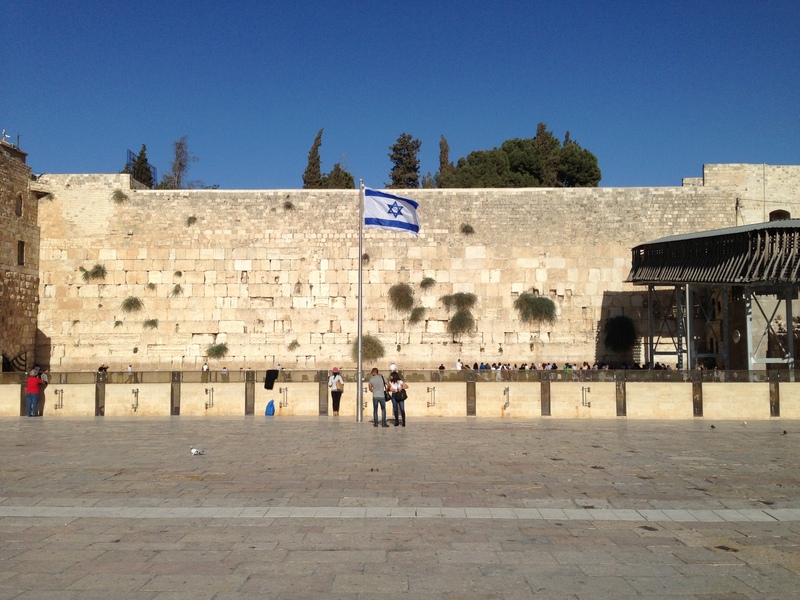 The apartments which Jews had purchased were in existing buildings in their holiest city. To characterize the actions as a “occupation of residential buildings” made the action sound like a military maneuver against Arabs, rather than a normalization of people coexisting. While the apartments were over the invisible Green Line (which was clearly defined as not a permanent border in the 1949 Armistice Agreement), the Obama administration was completely wrong that such actions crossed the line of appropriate behavior. On November 15, 2016, the Israeli Knesset voted to legalize Jewish homes in Judea and Samaria that were built on private Palestinian Arab land. 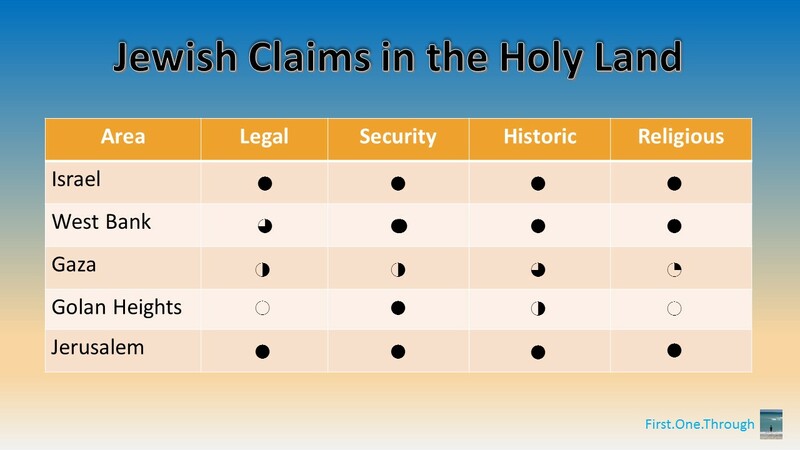 International law gave Jews the right live anywhere in Palestine, as described in Article 6 of the Mandate of Palestine “shall facilitate Jewish immigration under suitable conditions and shall encourage… close settlement by Jews on the land, including State lands and waste lands not required for public purposes.” But private property is not state land. The introduction of Article 6 states “The Administration of Palestine, while ensuring that the rights and position of other sections of the population are not prejudiced…” It is unjust and immoral to seize an individual’s private property unless there are extenuating circumstances. This does not appear to be one of those cases. 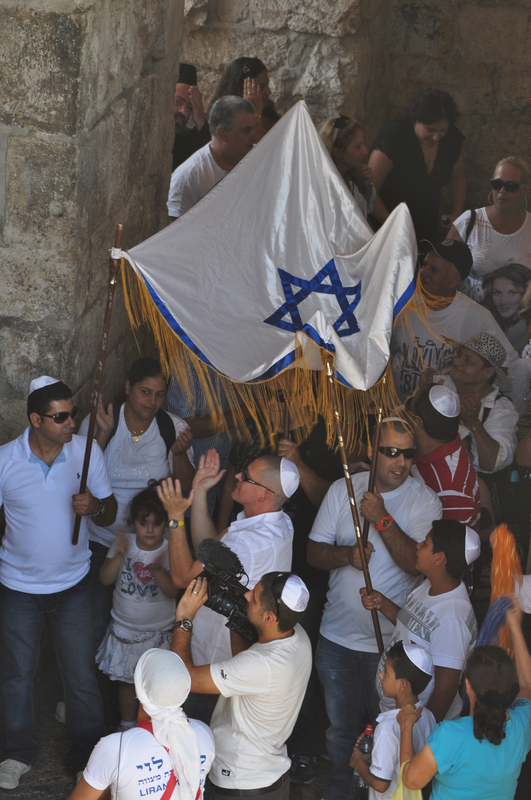 There is a broad movement to delegitimize Jews who are living anywhere in the Holy Land. 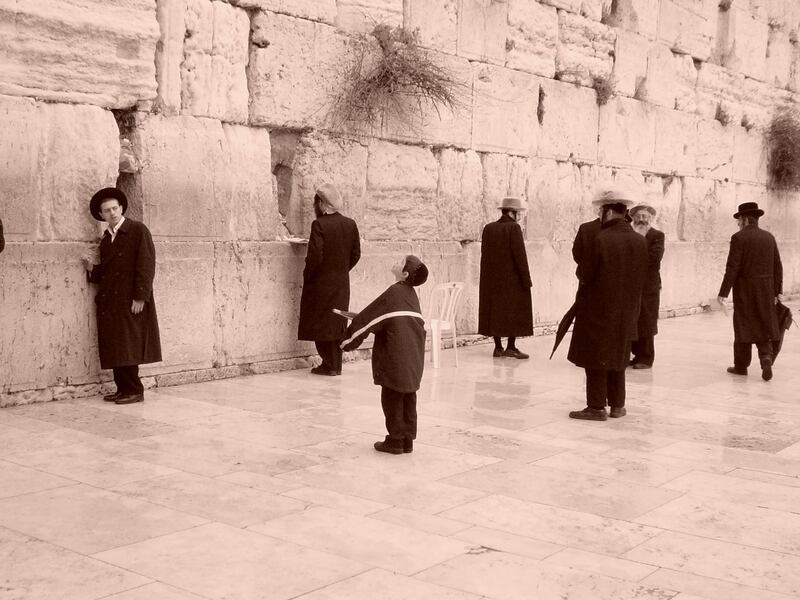 That is wrong and anti-Semitic. 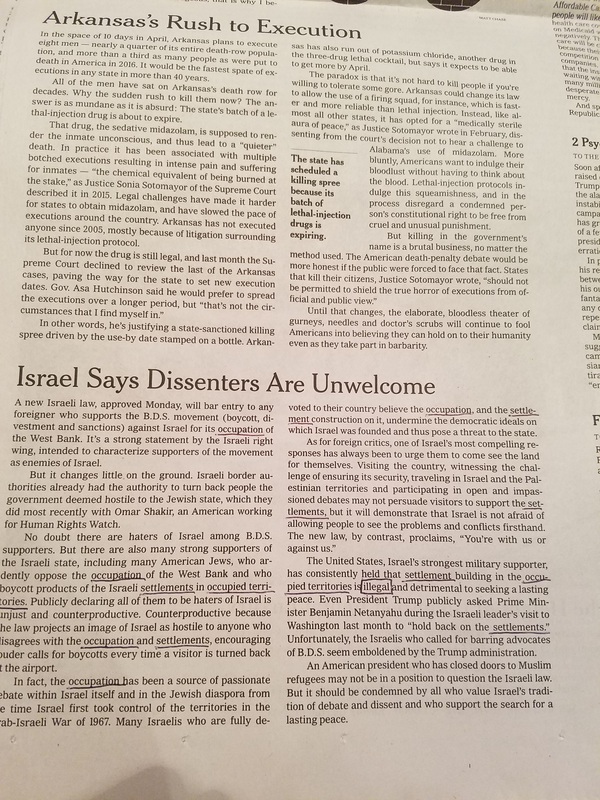 However, those disgusting calls to expel and ban Jews from living in homes they have every legal and moral right to inhabit, should not override the rights of Arabs to live on their private property as well.